4-days of epic gaming, Hollywood celebs, anime, cosplay and more. 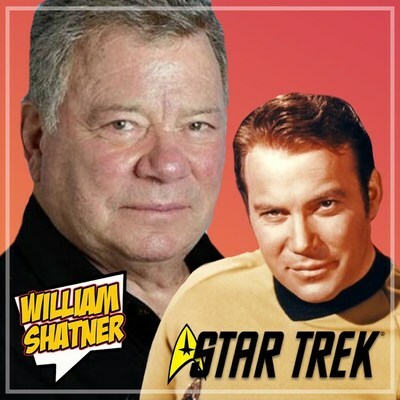 MIAMI, Oct. 1, 2018 — (PRNewswire) — The gaming tournament and comic convention of the season, Gamer Comic Expo lands, November 9-12, 2018 at the Miami Airport Convention with cultural icon, William Shatner, better known as Captain James T. Kirk from the Star Trek franchise. It's game on with 4-days of non-stop fun produced by Gamer Comic Expo, Gerard Kelly, and Khalid Jones from Echo Fox, a leader in Esports gaming. Let the battle begin and all ages are eligible to play or compete for bragging rights and a cool $10,000 cash sweepstakes playing favorites, League of Legends, PubG & Fortnite, meet pro gamers and Hollywood celebrities from the big and small screen appearing daily for autographs, photos ops and some even playing Fortnite! Announcing a partial list of attending stars, legend William Shatner (Star Trek, The Practice, Boston Legal, Rescue 911 and others), Joel Courtney (The Kissing Booth), Miles Heizer & Anne Winters from 13- Reasons Why, Riker & Rydel Lynch (R5 and Glee), David Henrie (Walt Before Mickey & Wizards of Waverly Place), Kendall & Jill Vertes (Dance Moms) and others. The stars will fill the convention and kids of all ages will have a blast! It's the perfect Miami weekend, Gamer Comic Expo at the Miami Airport Convention Center, comic book exhibitions, anime, collectibles, cosplay fashion show competition, gaming tournament with pro gamers and some of the biggest names in Hollywood for photo ops, tickets on sale now, visit www.gamercomicexpo.com.